My first short story was published in McCall’s Magazine in 1981. I had been writing stories for six years by then, sending them out, getting rejections. So that first acceptance was a huge boost, the beginning of what turned out to be a long fiction-writing career. But it wasn’t until years later that I realized what I had tapped into. Until the late 1990s, and for most of the 20th century, women by the millions had looked to magazines like McCall’s and Good Housekeeping not just for recipes and decorating tips but for the short stories that appeared each month. At its height, McCall’s had a circulation of 8.4 million. I had loved women’s magazine fiction since I was 12 or 13, reading my mother’s magazines, not knowing millions of others were doing the same. I thought I would do this forever. Then in the late 1990s and early 2000s, technology- and budget-challenged magazines stopped publishing fiction – and some stopped publishing altogether. There was still women’s fiction, but it came in the form of novels, not short stories. Like most writers, I turned my hand to these longer works – and the short stories I sometimes wrote were longer, more intellectual – “literary” rather than “popular, satisfying in their way but not the same. Then, time and again at book events, women would hear that I’d started my career writing magazine fiction and they’d reminisce with real fondness about how much they’d liked that type of story and still missed it, even years later. Everyone had a favorite story they still remembered. I did, too – “The Summer Kitchen,” a story from Redbook about making grape jelly in a hot kitchen, standing barefoot on the sticky floor, luxuriating in the purple smell of the grapes. To me, it was the quintessential description of an essentially feminine experience. Some years later, I met the author of that story, the poet and fiction writer Ruth Moose, who told me I wasn’t the only one who recalled that story with nostalgia. To my surprise, I heard similar recollections of some of my own stories and was deeply touched. 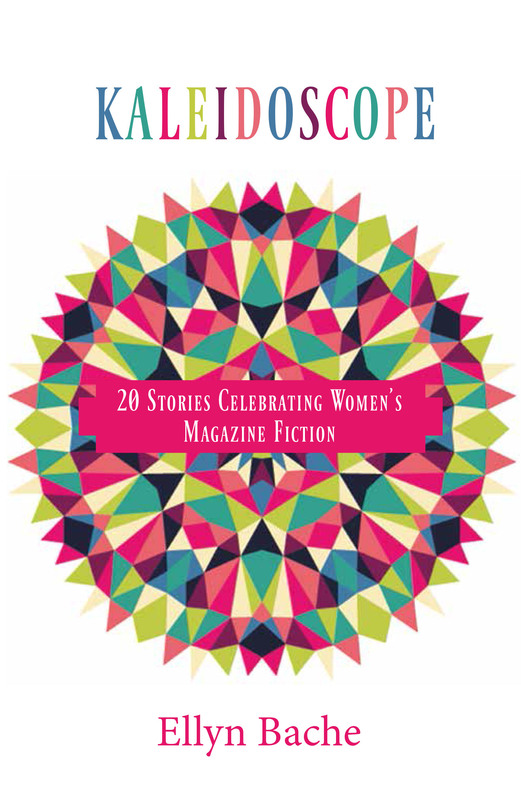 The ongoing, almost clandestine interest in that bygone genre was the germ of the idea for my new book, Kaleidoscope: 20 Stories Celebrating Women’s Magazine Fiction, a collection of my stories that originally appeared everywhere from Seventeen and Good Housekeeping to the beautiful, slick regional magazine, Virginia Country to the weekly entertainment newspaper Encore Magazine. Because those stories were published over a 22 year period, I thought they’d be awfully old-fashioned when I went back – and was surprised to discover how current they still felt. Women’s fiction is often less about plot than about emotions – so even though the characters text instead of talking on a land line, their visceral reactions stay the same. Emotions are pretty universal, pretty timeless. As one of the first collections of popular (as opposed to strictly “literary”) fiction at what is becoming time of renewed interest in the short story, Kaleidoscope offers a little bit of history along with a great deal of entertainment. 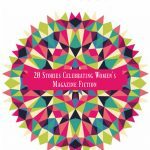 Short stories have been a fixture in women’s magazines for centuries, everything from sweet romances to tales of horror – including some of Edgar Allan Poe’s early work in “Godey’s Lady’s Book,” the most important women’s magazine of the 19th century. But will it make a comeback? General interest magazines continue to give way to special-interest publications about everything from knitting to body-building. A few that still use fiction tend toward simple, formulaic stories, not the sophisticated, thoughtful writing of years past. But who knows? I think high quality women’s magazine fiction will be with us again for a long time, a much-loved genre with a future as well as a past.